The staff ladies at this place serve you with enthusiastic smiles. 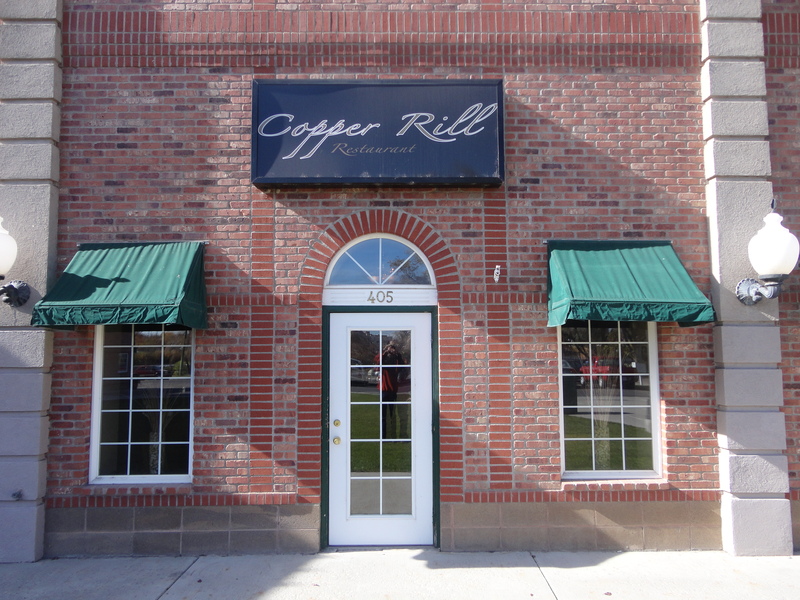 The Copper Rill is located in the brick Eagle Rock Station on the west bank of the Snake River. I ate lunch here with my mother. We ate sumptuously: steak marsala soup, shrimp and chicken pasta covered in lobster sauce, and New York cheesecake dripped in caramel. And I washed it all down with one of those berry combination Italian sodas. Thank you, Copper Rill, for the pleasant lunch table and food by the window. 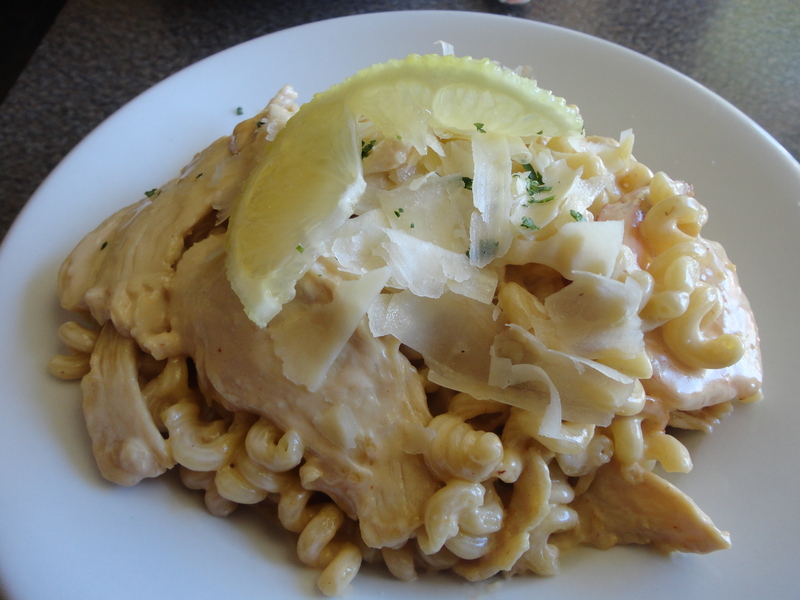 This entry was posted in restaurant reviews and tagged cheesecake, Copper Rill, Eagle Rock, italian soda, pasta. Bookmark the permalink.